Like all the other Martin guitars, the D-16RGT is a unique one that will truly amaze you in every aspect. 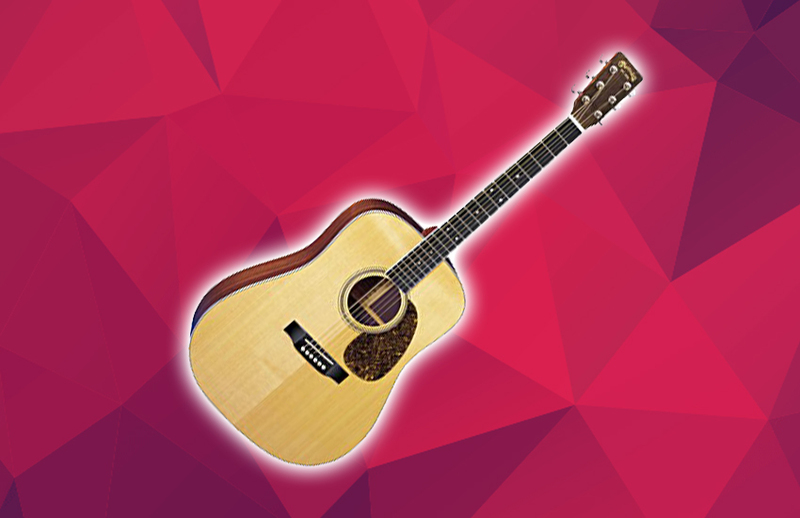 Even though it didn’t earn its spot in the best martin acoustic guitars list, it is still an amazing guitar which is definitely worthy of a review. So, let’s not spoil it all in the beginning, we will explain and reach in every detail to show you what makes this guitar so special. 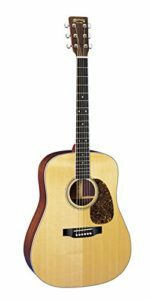 As you can probably tell, the Martin D-16RGT is a dreadnought acoustic guitar that boasts a solid Sitka Spruce top and East Indian Rosewood back and sides, which basically defines it as a classic Martin Dreadnought guitar. The top is furnished with a gloss finish while the back and sides are satin, which really gives a great look to the overall aesthetics. Additionally, the neck is solid Spanish Cedar. Now, some of you may not be very familiar with the materials used and some of the terms used to explain its looks and appearance, but nonetheless, they are remarkably durable and modern enough to give you that premium feeling that you’re looking for. Speaking of modern, the D-16RGT begins to deviate into non-traditional construction materials with its Richlite fingerboard and bridge. However, the presence of RIchlite on guitars is kind of controversial among acoustic guitar purists, but nonetheless, it is more of an innovation. For your information, these materials can sometimes offer guitarists smoother, more harmonious fingerboards. Personally, I favor working with these elements because of their predictability and stability. 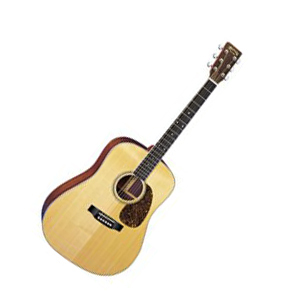 In addition, the guitar ships with a Corian nut and Tusq saddle, while the soundhole is surrounded by a stripe and herringbone rosette, thus, the fingerboard and sides feature white binding. Moreover, the Martin D-16RGT employs a solid headstock with chrome enclosed tuners, so, this sums up everything about this guitars appearance, from which you can see that it is indeed a unique masterpiece which shines with elegance. Now, when it comes to the sound, with the D-16RGT, you’ll get rich, growling bass which is typical of a Martin Dreadnought guitar. However, no matter how slight the difference is, D-16RGT provides a more balanced and nuanced tone than its standard series cousins. In terms of versatility, well, the D-16RGT is suitable for a number of musical types, while it sounds perfect at home as a solo accompaniment but can cut through the mix of a band when needed. Now, about playability, well, if you want to know our part of the story, I had a really comfortable and easy-to-play experience when I first tried this guitar, yet again, during our research, we found that numerous users have also reported that the D-16RGT is low and even, straight from the factory which also means that it is an easy-to-play guitar for users of different levels, no matter if you are a beginner or a professional. For your information, the Martin D-16RGT does not include a pickup or onboard electronics. To conclude, the D-16RGT makes a great addition as an excellent instrument for guitarists who want to move toward a more professional grade instrument.